With gardens looking a little jaded and the last few leaves clinging to the trees, darkness descending at 4.30 and the cold biting at your checks, surely it’s time to get warm in front of the fire, think about Christmas, write your foraging wish list and celebrate all that is wonderful in nature at this time of year. We may not have an abundance of hedgerows in south London, but we are surrounded by beautiful woods and there’s a nearby common for inspiration. 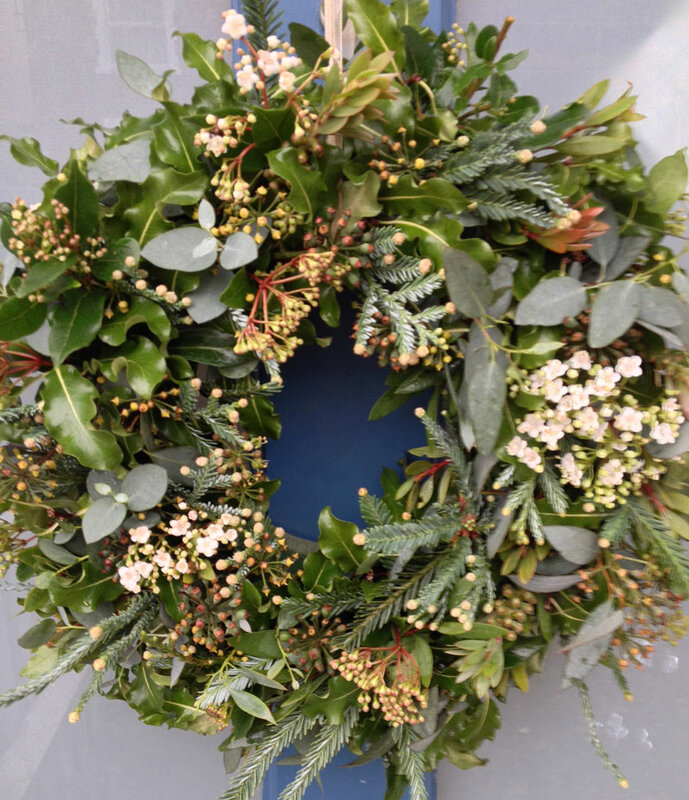 I have put together three Christmas wreaths filled with foliage that is, if not gathered from the common land then certainly inspired by it, and found in my own small garden or those of friends. Rose hips, Hydrangea, Senecio, ivy and fir. Hydrangea is a great flower to cut and save for your wreath-making. It dries perfectly and keeps its colour well. 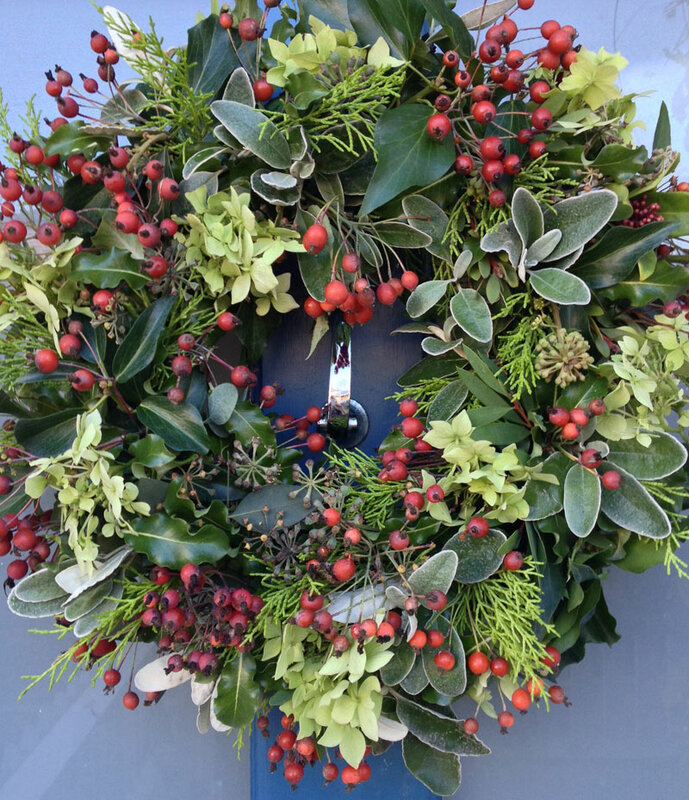 If you would like to order a tailor-made Christmas wreath then do e-mail me.